Aberystwyth's a beautiful friendly place to live and work. 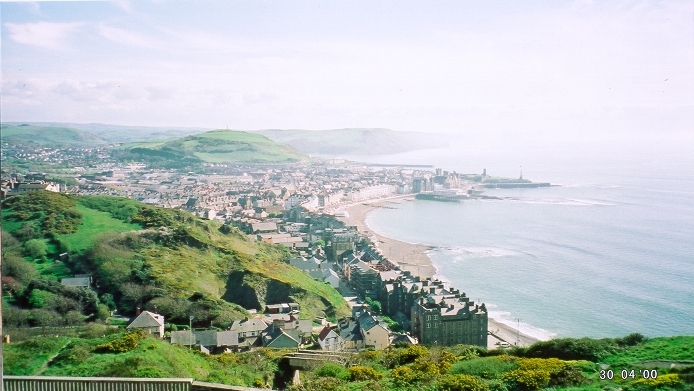 See the best guide to Aberystwyth. Aberystwyth Science Cafe has a range of interesting talks, aimed at the general public and held in the Arts Centre's theatre bar. Try the genome game, a game/activity aimed at schoolchildren to teach them a little about bioinformatics. Fibonacci numbers and sunflowers: HTML5 demo and my sunflower photos on Flickr. The BCS Women Lovelace Colloquium happens each year in the Easter break, and is a conference for women undergraduates in Computer Science (who are currently a minority group and so we want to encourage them). AberSwing is our swing dancing group. We dance Lindy hop and Charleston. Our classes are usually on Tuesday evenings at Morlan.